Max McCombs is internationally recognized for his research on the agenda-setting role of mass communication, the influence of the media on the focus of public attention. Since the original Chapel Hill study with his colleague Donald Shaw coined the term "agenda setting" in 1968, more than 400 studies of agenda setting have been conducted worldwide. In 2011 McCombs and Shaw were awarded the Helen Dinerman Award of the World Association for Public Opinion Research for their continuing work in this area. In 2014 the University of Navarra presented McCombs its Silver Medal commemorating 20 years of teaching and research on agenda-setting at the university’s campus in Pamplona, Spain. He also has received an honorary doctorate from the University of Antwerp, the Paul J. Deutschmann Award for Excellence in Research from the Association for Education in Journalism and Mass Communication, and is the co-recipient with Donald Shaw of the Murray Edelman Award for distinguished scholarship in political communication from the American Political Science Association. McCombs is a past president of the World Association for Public Opinion Research and a fellow of the International Communication Association, The second edition of his book, Setting the Agenda: The Mass Media and Public Opinion, was published in 2014 by Polity Press in Cambridge, England. The first edition has been translated into Spanish, Chinese, Korean, Portuguese, Polish, Swedish, and Czech. Organizing the extensive literature on agenda setting into six ongoing phases of research that detail the formation of public opinion, this book has been described as the Gray's Anatomy of agenda-setting theory. McCombs also is the co-author of The News and Public Opinion: Media effects on civic life published by Polity Press in 2011. His co-authors are Lance Holbert, Spiro Kiousis and Wayne Wanta. Currently, McCombs and Lei Guo, an alumna of the School of Journalism’s doctoral program now on the faculty at Boston University, are editing The Power of Information Networks. To be published by Routledge in 2015, this book presents an array of international research on a new aspect of agenda-setting theory, network agenda-setting. 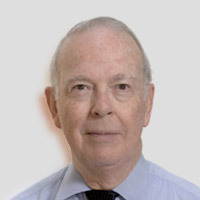 McCombs is the Jesse H. Jones Centennial Chair in Communication Emeritus at the University of Texas at Austin and has been a visiting professor annually at the University of Navarra in Spain since 1994. He also has been a visiting professor at the University of Vienna and at Catholic University and Diego Portales University in Santiago, Chile. McCombs received his M.A. and his Ph.D. from Stanford University and his B.A. from Tulane University. Prior to joining the University of Texas faculty in 1985, he was the John Ben Snow Professor of Research at Syracuse University. McCombs also served for 10 years as director of the News Research Center of the American Newspaper Publishers Association. He has been on the faculties of the University of North Carolina at Chapel Hill and UCLA and worked as a reporter at the New Orleans Times-Picayune.